As I'm going through the Yahoo! News updates I came across a headline about sweet potato toast. Well, that sparked my interest because, one I love sweet potatoes, and two they are a healthy carb that can be used in various ways. I just never thought about toasting it in the toaster! So, of course I had to click on this article and then do further research. It's like one article mentioned, there's really no "recipe", just tips on toasting the sweet potato and ideas on the various delicious ways you can top your sweet potato toast. The tips I came across in various articles in regards to toasting the sweet potato were all very similar and it's very simple. But, if you're like me, I'm asking myself what would be good on sweet potato toast? I mean I can think of a couple ways to top it; but in looking at the various sites there are some creative and tasty ideas! Below are the two sites that I found the most interesting and sharing here. But, for more ideas just Google "sweet potato toast" and you will get even more sites to get some great ideas from! 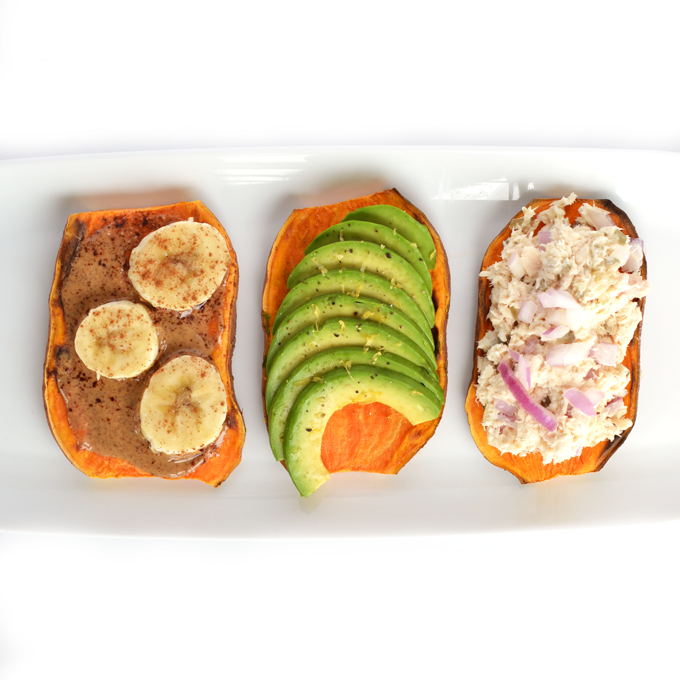 This site, Little Bits of Food and Real Talk, have three ways to top your sweet potato. I can't wait to try some of these! I'll provide feedback once I've tried some and let you know my opinion. But, because I'm following a specific meal plan, I will need to wait until I'm able to work this into it; but trust me first chance I get I'm trying it and will let you all know! If you've ever made sweet potato toast, or if you decide to try one of these, leave some feedback on what you thought or any other tasty ideas you might have to top off these delicious healthy carbs!